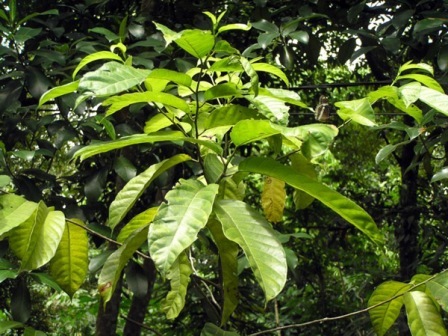 Butong grows wild in the mixed forests upto an altitude of 1700m in Cambodia, Indonesia, Laos, Malaysia, Philippines, Thailand and Vietnam of the South East Asia. It also seems to be a native of this part of the world only. There is a large diversity in this fruit. Some botanists have further divided this species into six sub species. 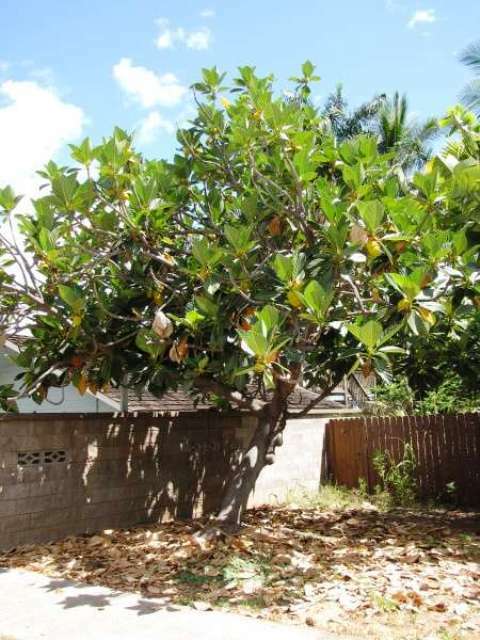 A small to medium tree, upto 17 m tall, straight; bark black to brown, longitudinally fissured; branchlets cylindric, wrinkled, 2-3 mm thick, appressed puberulent, rapidly glabrescent. Stipules lanceolate, caduceus; petiole 0.5-2 cm; leaf blade oblong to ± orbicular [or ovate], 7-15 × 3-7 cm, leathery to thinly leathery, glabrous, abaxially pale green, adaxially dark green; young leaves with both surfaces black when dry, base cuneate, ± rounded, or blunt, margin entire or irregularly shallowly toothed, apex acute and mucronate to caudate; secondary veins 6-10 on each side of midvein, adaxially prominent. Male inflorescences capitate, obovoid, or oblong [or rodlike] 2.5-12 × 2.7-7 mm; female inflorescences ± capitate [or ± globose]; peduncle 1.5-8 mm; male flowers: calyx lobes 2-4, basally connate for 0.5-0.7 mm; female flowers: calyx tubular; style exserted. Fruit a syncarp, red, reddish orange, or yellow, brown when dry, ± globose, ca. (1.5-)5 cm in diam., fleshy, glabrous or sparsely covered with coarse pubescence; peduncle to 5 mm; bracts persistent. Drupes [1-6 or] 10-15. 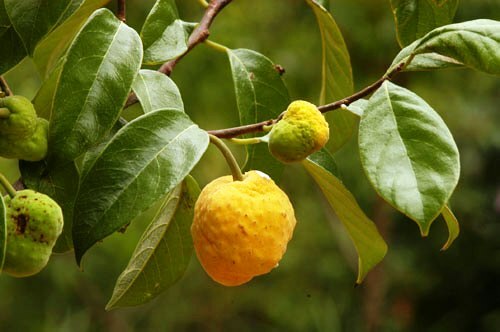 The fruits are edible and are fondly eaten, particularly of the sub species griffithii. These have bright pink sweet tasting pulp. At some places, the fruits of butong are are also made into confectionery. 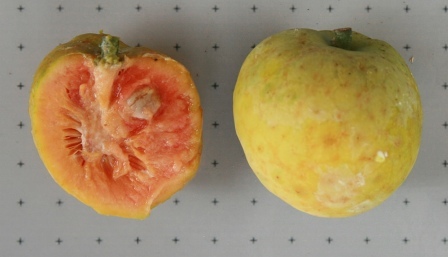 The trees of sub species lingnanensis which bear red fruits with pink flesh are planted. Not only the fruits are eaten, but the bark and roots of this type is used in betels.